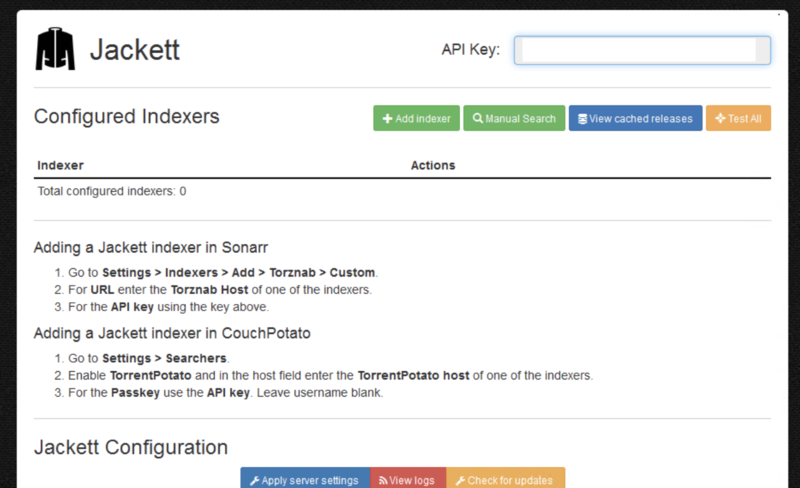 Jackett works as a proxy server: it translates queries from apps (Sonarr, Radarr, Mylar, etc) into tracker-site-specific http queries, parses the html response, then sends results back to the requesting software. This allows for getting recent uploads (like RSS) and performing searches. Jackett is a single repository of maintained indexer scraping & translation logic - removing the burden from other apps.